Removing cataracts early is your best bet. Now that he’s retired, Kevin Reeves has more time to do the things he loves most. 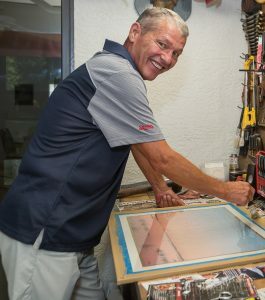 For this Dunedin resident, that means attending Clearwater-Countryside High School football games in the fall and either Dunedin Blue Jays or Tampa Bay Rays baseball games in the spring and summer. 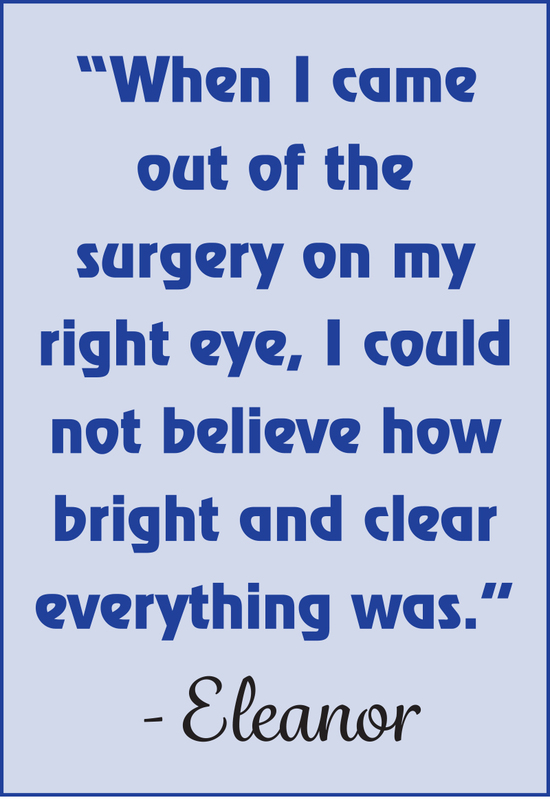 Kevin says he can’t believe how clear his vision is since having cataract surgery. It was while taking in a Rays game at Tropicana Field a few years ago that Kevin realized he had a serious vision problem in his right eye. Though he was sitting less than 200 feet away from it in the left-field stands, Kevin couldn’t see the dugout or much of what was happening at home plate out of that eye. Despite the limitations, Kevin put off seeking help for his vision problem, opting instead to simply “deal with it’’ for several years. It wasn’t until last August, after he had “basically become blind” in his right eye, that Kevin finally sought help and then only at the behest of his daughter and primary care physician. center, where Kevin presented with a case more challenging than most. 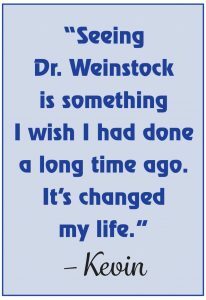 “Kevin had what we call a white cataract, which is a cataract that is so bad, it is totally whited out,” Dr. Weinstock informs. “When a cataract gets to that point, it’s very dense and cloudy and thick. That type of cataract is harder to get out than a cataract that is younger and softer, and that’s an important factor in the visual outcome and healing process. Cataracts can be removed easily through an outpatient procedure during which the cloudy, natural lens is removed and replaced with an artificial intraocular lens, or IOL. Surgeons typically use ultrasound and a laser to break up the cloudy, natural lens. 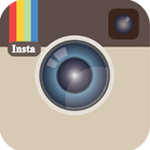 Once that old lens is removed, the intraocular lens is implanted, permanently correcting the vision. Dr. Weinstock says there was a time when it was standard procedure for eye surgeons to wait until cataracts had matured before trying to remove them. In the past 30 years, however, advancements in technology have made it easier and safer for surgeons to remove cataracts shortly after they develop. Dr. Weinstock adds that it is in the best interest of most patients to have their cataracts removed early in their development. The reason is that as cataracts develop, they become thicker and cloudier. As Kevin learned, a thicker, cloudier cataract can eventually rob someone of their desired lifestyle. It can also put them in danger. “When you’ve got a thick, dense cataract, your vision gets significantly worse, and sometimes, it can become so bad that you become a danger to yourself and others because you simply can’t see well,” Dr. Weinstock emphasizes. “Despite that, most people are still waiting too long to have the surgery. 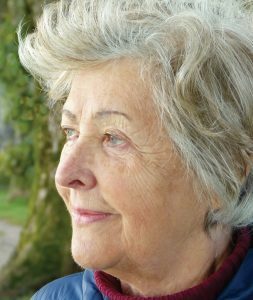 Eleanor*, 75, is an example of just how much danger people can put themselves in when they decide to wait to have cataract surgery. Eleanor’s eyesight had been fading for years, but she put off doing anything about it. It wasn’t until her poor eyesight put her in harm’s way that she finally acted. “I was coming home from a friend’s house one night, and they were doing some construction on one of the roads I had to turn onto,” Eleanor relates. “It was very dark, and there were cones laid out everywhere. I couldn’t see the road very well and wound up going the wrong way. I was heading into the traffic. Eleanor, who still works part-time as a cashier at a nearby grocery store, chose to have her cataract surgery done at The Eye Institute of West Florida. 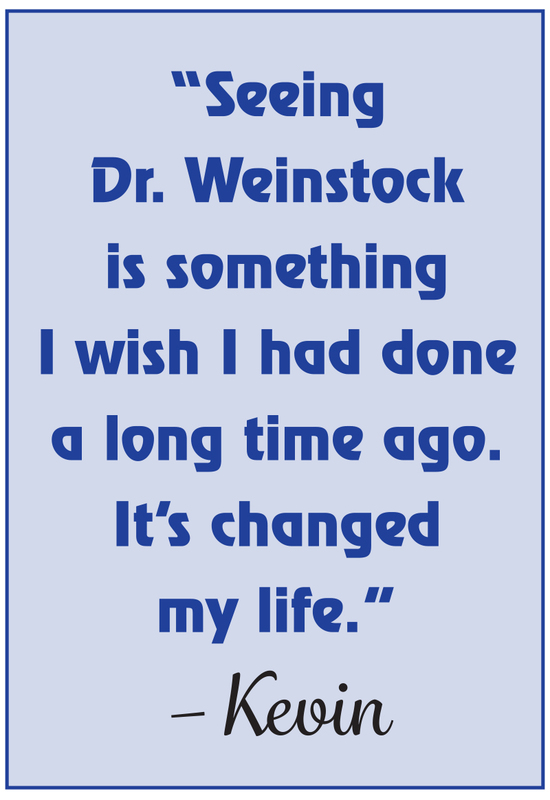 It was during her initial examination that she met Dr. Weinstock and learned that he would perform her surgery. “The situation with Eleanor was much like it was with Kevin,” Dr. Weinstock informs. “Her cataracts were very dense, so hers was another case in which we wished we had gotten to her sooner. Fortunately, I have the technology to handle those tough cataracts, and because other doctors send me tough cases all the time, I’ve done a lot of them. Eleanor’s decision to wait so long to have her eyes examined was born partially out of fear. A glasses-wearer most of her life, she says she has never worn contacts because she doesn’t like putting anything in her eyes and has a fear of anyone else, even a trained physician, touching her eyes. She carried those fears as well as a few others into her cataract surgery, but soon learned she had no reason to be anxious. During two operations, one for her right eye and one for her left, Dr. Weinstock removed her cataracts and implanted the IOLs so effortlessly that Eleanor barely even noticed she’d had the procedures done. Kevin had a similar experience, but his surgery was a little different. Because he’d waited so long to address his problem, his surgery required the use of a femtosecond laser to make the incision in the eye and break up the cataract. That laser had to be used, Dr. Weinstock explains, because the advanced stage of Kevin’s cataract created an unusual amount of tension and pressure on the eye. Though he needed a few more days than typical cataract patients do to heal to the point where he noticed a difference in his vision, Kevin says he began to see better out of his right eye after a week. Now, he sees better than ever out of that eye. “After a month, I went to get my eyes checked again, and the doctor told me, You really don’t need glasses,” Kevin recounts. 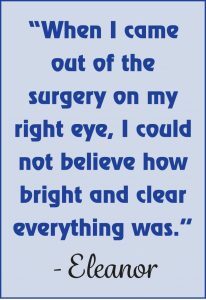 “He said I had 20/25 vision in the eye that I had the cataract in and that I had 20/18 vision in the other. The thing I can’t believe is how colorful and clear everything is now. Eleanor had a similar reaction to her surgery, which was performed in two stages. Because she had cataracts in both eyes, Dr. Weinstock removed the cataract and replaced the clouded, natural lens with an IOL in her right eye first. He performed the second surgery on the left eye a week later. “When I came out of the surgery on my right eye, I could not believe how bright and clear everything was,” Eleanor relates. “I covered my left eye and everything I looked at out of my right eye was vivid and colorful. Then I covered my right eye, and everything I could see out of my left eye was dull and yellow. It’s not only at work where having cataract surgery has impacted Eleanor’s life. Cross-stitching is one of her favorite pastimes, and while she never gave it up as a result of her impaired vision, she had reached a point where she could only do it under bright light and while wearing highly magnified reading glasses. *Patient’s name withheld at her request.